Hybrid lash extensions are the latest buzzword for lash technicians, lets find out why! There’s been a lot of interest (and confusion) about the hybrid lash extensions - so I thought I would take the time to clarify what they are, and whether it’s as glam or as natural as you need. They’re super popular; and for all the right reasons! So before I go into hybrid’s, it’s good to understand a bit of lash terminology first. Individual lash extensions are the classic technique, with one lash extension placed on one natural lash. As with all the techniques (the individuals, volumes and hybrids), there are various lengths, curls, and thicknesses for a bespoke look to work with your eye shape and natural lashes. The volume lash extensions, also known as Russian volume, are multiple extensions, from 2-6 extensions, on one natural lash. You might have heard the term 3D lashes - this would mean 3 extensions on one natural lash. 2D is 2 extensions on one lash, 4D is 4 extensions, etc etc… These volume lashes are ultra thin, and weigh the same amount as an individual lash extension. So cause no extra weight. So now onto hybrid, hoorah! Hybrid lash extensions are a 50/50 mix, half individual 1 to 1 classic extensions, and the other half volume lash extensions. Hybrid lash extensions give the best of both volume and individuals - offering a denser, thicker look than the individuals, but a less uniformed and softer look that is achieved with volumes. Hybrid's are great for clients who have natural gaps or fine lashes - as the volumes can hide these sparse areas you may have. At Belleza Natural, your natural lashes are always taken into consideration when deciding the best look and style for you - knowing what your natural lashes can support so you continue to have healthy happy lashes all the time :) No need for breaks! You could go for a staggered, spikey look (often known as the Kim Karsadhian look) or go for a shorter more natural whispy set. Here’s an example of a hybrid set I’ve done recently. Shellac is half gel, half polish product by Creative Nail Design (CND) that is a staple of any nail addict. From Bubble Bath, to Hotter Than You Pink, you can't really go wrong with your favorite pink shade. If you love lashes and you love pink, consider lash highlights! They can be subtle and stylish all at the same time. Not exactly pink, but true to the cause and stunning. 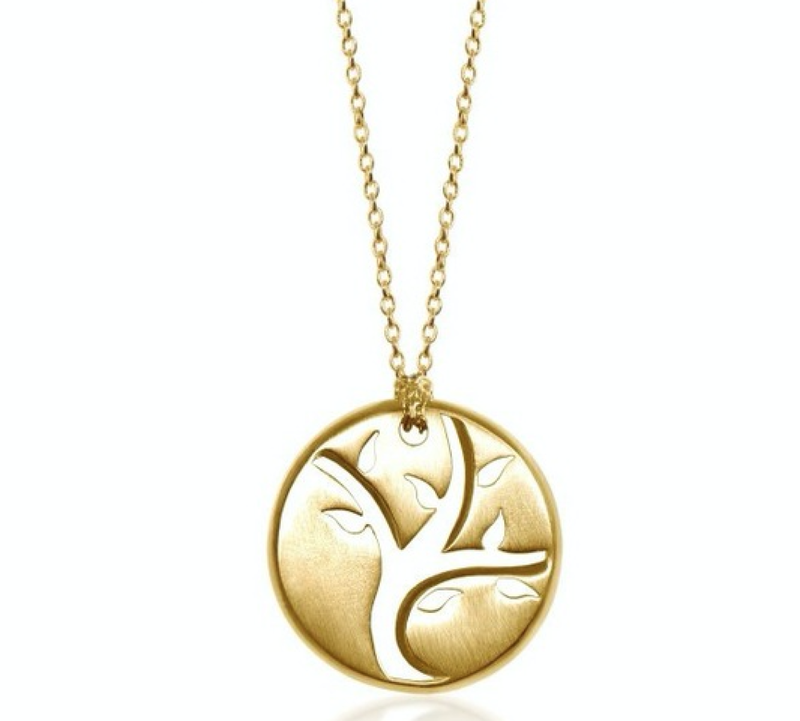 Alex Woo’s tree of life pendant was designed with the award winning actress and breast cancer survivor Christina Applegate, to represent harmony, hope and renewal. Says it all really - amazing. Moschino's SS15 Milan collection was a frenzied flash of pink, hot pants, muled sandals, huge plastic smiles and even bigger bouffant blonde curls. Any excuse to rock this good time girl Barbie look I'd say. Belleza Natural now offer eyelash extensions at the exclusive Six Senses Spa at Nobu Hotel's Ibiza Bay. With founders Robert DeNiro, Nobu Matsuhisa and Meir Teper; this is an exclusive destination in front of the bay of Talamanca. Be sure to check out the other amazing treatments at their Six Senses Spa, as well as Nobu Ibiza's world class restaurants. Celebrity eyelash extensions - Hollywood's hottest trend. The 'Kim Kardashian look' is actually a 'thing' in the eyelash extension business. A mixture of classic and volume lashes, with varying lengths throughout to create a 'spike' look. Only suitable for strong natural lashes who can take this fuller, glam look. Whether Katy's shopping for her fruit and veg, or on stage - she always looks on point. And eyelash extensions are her secret. Katy goes for the doll shaped look - longer lashes in the centre of the eye, with volume extensions, C curl. The singer says 'she wakes up like this' - and technically she does, because eyelash extensions mean you look glam from the moment you wake up! Selena goes for volume over length, as we know that a shorter length creates the illusion of thicker eyelash extensions. Selena's eyes are smaller and almond shaped, so she sticks to a more natural length with a cat eye shape. Jenny is the queen of glam - and her eyelash extensions enhance this look. Jennifer loves the cat eye look - to emphasise and maximise her almond shaped eyes. Belleza Natural loves.... Thu Nguyen. Offering various looks for make-up stylings, from natural to glam - for all occasions. She gives her best to fulfil the clients every wish. Thu knows that every woman is unique and gets a bespoke styling according to her wishes. How incredible your eyelash extensions will look after leaving your treatment is 90% about how you maintain them with lash extension care. Like anything, confidence is key. I will in detail show you the three easy steps to maintain and clean your lash extensions. You will see that not only do they last weeks longer, they will feel softer, less itchy, and more comfortable overall. Cleaning is so important because our lashes can get bacteria, and even mites if we do not take care of them. It won't matter if your mega volume lashes are on point if you have a stye or eye infection! Oil is the enemy of lash extensions because it causes the adhesive to soften and clump up. So keeping natural oils from lids and fingers at bay is just as important as using oil free products near the eye area. You can gently pat dry with a regular towel just be careful not to pull because the lashes can sometimes get caught on towel. Just do a gently pat in this case, or use a blow of the hair dryer on a cool setting. 1. No water for 24 hours. no steam for 48 hours. 2. Avoid getting any products on the lashes that contain oil or glycol as well as saline, or salts. If you sweat heavily rinse with water or oil free make up after your workout. Same goes for crying. Try and use eye drops that are saline free, if you are someone who needs eye drops. 3. When removing your eye makeup (liner, shadow, etc. ), gently go over the area with a Q Tip instead of placing cotton pads or puffs over your lids—not only could you eventually weaken the extensions and mess them up, the cotton fibers get stuck on lashes. (Not cute). 4. Use either water or oil free eye make up remover. Can't find oil free eye make up remover in Ibiza? I sell them so do ask! 5. Brush lashes regularly with a clean mascara wand. Close one eye, place the wand on top of your lashes, then roll the brush over lashes to keep them defined. 6. Sleep on your back. This might sound like a crazy request (unless you already sleep on your back), but it's really important directly following your application, since the glue takes a while to dry fully and you'll otherwise get weird kinks. After a night or two, resume your normal sleeping position. 7. Resist playing with them. Your eyelashes shed naturally, so when you have extensions, this will help push them off. If an extension looks out of place, avoid playing with it or twisting or pulling it off—you'll risk losing your natural lashes. Let them come out on their own, and use a wand to brush them back into place in the meantime. If you've had eyelash extensions before, you'll be familiar with the aftercare of not getting the lashes wet for 24 hours. But some people take this advice a little too far, and don't get them wet at all ever - gross! Some people may notice a build up of gunk (dead skin, old make up, oils) on their lash line - then of course this needs to be cleaned. Clogged lashes can be unhygienic. Also, if the lashes are not clean when you arrive for your next lash appointment - the technician will spend more time cleaning them which eats into your precious extension application time. Dirty lashes can potentially create a shorter life of extensions as oils build up on the lashes causing them to fall out sooner. So how should you keep your lashes clean... It's usually ok to clean the lashes just with water. Oil free eye make up remover is great to remove make up also. Just be sure to not use cotton wall buds or face wipes - the fibres will pull at the eyelash extensions. Also face wipes are full of oils. I recommend using a Q Tip (ear bud) that's damp with water, and gently stroke along the lash line. It could be useful to use baby shampoo and lukewarm water if you notice you need to clean your lash line more thoroughly. With your finger tips, work the foam right into the lash line, rinse, pat dry and allow your lashes to dry naturally. All these methods can be incorporated into your daily skincare routing. If you're in the shower, try to avoid putting your face directly under the shower stream. Clean your lashes every day or every second day, and be sure they're squeaky clean before your next lash appointment. Simple and quick ways to keep those lashes healthy and the eyelash extensions lasting for longer. New years resolution: Be more awesome than last year! You'll look damn fine, all the time. Wake up and feel absolutely amazing, naturally. Or if you're looking to get dressed up to go partying in Ibiza, you won't needed added makeup for that wow factor. Bold beautiful lashes will give you that extra confidence boost, so you can present yourself how you feel on the inside already - self fulfilled, full of love, and an absolute Ibiza goddess. Are you used to individual extensions? Why not give the Russian volumes a go for a bolder look. Ibiza tinder date?! Job interview?! Chatting with a stranger?! Your eye-contact-game needs to be on point. face to face communication is always better when you're showing off your new lash extensions. Belleza Natural Ibiza has all the lengths, curls and thicknesses you need - whether it's individual eyelash extensions or Russian volumes, they are totally natural looking. Embrace what mother nature's given you. When booking an appointment, we will require your full name and contact number. For new lash extension sets, or brows, please arrive on time (allow sufficient time for parking). Please do not bring friends or children with you to your appointments. Failure to give us less than 24 hours notice of a cancellation or reschedule will result in a 50& upfront payment for your next infill. We also send a confirmation text and/or email the day prior to your booking. If we do not receive a confirmation from you the day of your appointment, your slot may be given to another client. Your appointment time is meant especially for you. If you are late, we may have to cut your treatment short so it does not affect the next client. For lash extension services, please remove all eye makeup with an oil-free remover or mild soap prior to your appointment. Belleza Natural believes that there’s more to eyelash extensions than just application, which is why I've created this blog to explore the ‘Do’s & Dont’s of Lash Extensions”. Proper care is essential for healthy eyelash extensions. With proper care, you can prolong the life of your lashes, maintain proper hygiene, and keep your beautiful lashes healthy. White Ibiza 2016 Photoshoot - coming soon. Keeping those lashes looking lush at The Body Camp. Luxury health and fitness retreat The Body Camp. Where you can reach your personal fitness and weight loss goals, focus your mind and learn how to cook delicious nutritious food. And get your lashes done! Whatever your lash look, volume lashes are suitable for everyday wear and a real treat on special occasions. 1. Arrive to the appointment with clean eyes. Be sure that your lashes are free of any makeup and/or oily residue. Not only does this speed up the application time, the adhesive will stick better to clean lashes. 2. This means shower before your appointment and/or wash your hair & body separately. 3. For 48 hours after your application, you should avoid steam. No saunas, hot yoga, sweaty gym sessions, etc. 4. Make sure the products you use are all oil free. Oils in your makeup remover, skin care products, makeup, etc will breakdown the adhesive on your lashes. Ask Belleza Natural for recommended products. 5. Where no mascara on your extensions! It becomes very difficult to remove the mascara from the extensions. 6. Do not pull or tug on your lashes. If they're criss-crossing, use a disposable mascara wand to comb through your lashes, root to end. 7. Less is more. The less eye makeup you wear, the less your play with your lashes, the longer they will last. Made Up In Ibiza was the dream come reality idea of 4 talented friends who wished to make the beautiful White Isle not just their home but also their creative work place. Whether it be creating your special look on your wedding day or adding that splash of colour and gallons of glitter to a night to remember....the MUI team guarantee a top class service served with all the trimmings. Perfect lashes, now how about those eyebrows. You can now have the ultimate in well-groomed, high definition eyebrows through Belleza Natural in Ibiza. Eyelash extensions should be complimented by those perfect brows. The precision brows experience includes tinting, waxing, designing, threading and brow make up to give you perfectly defined brows. Your eyebrows will be perfectly shaped, arched and coloured to suit your face shape and colouring - perfectly complimenting those eyelash extensions. Please note: A patch test must be carried out prior to any precision brows treatment.